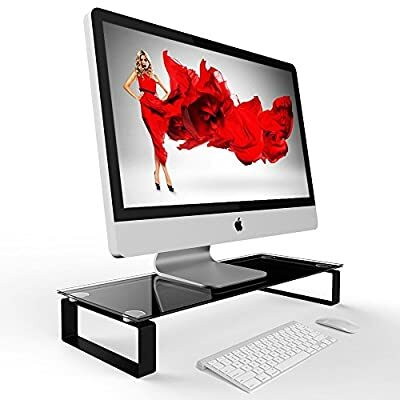 Eutuxia Monitor, TV, Laptop, Computer, Apple iMac, All-In-One Desktop, Printer Stand/Riser. Good for Home, Office, Cubicle. Stay Organized & Save Space. 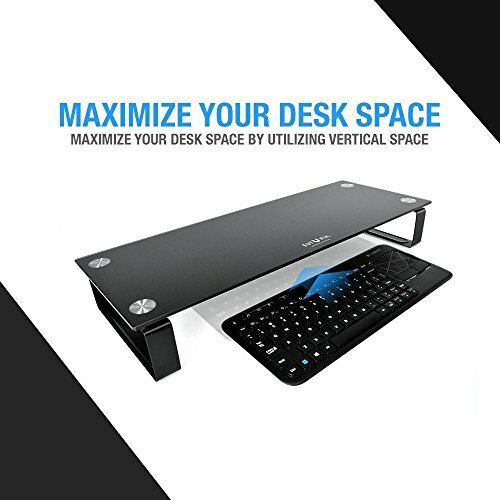 Stow Keyboard, Mouse, Gaming Consoles Under. Place your computer monitor or laptop on Eutuxia's monitor stand for a neat and organized works pace. Monitor laptop stand riser allows an additional horizontal space for computer, monitor, laptop, home audio equipment or anything else that needs a flat surface. This is the perfect addition to any office or home and utilizes a slim and modern design that is attractive to any age. We care about your health. Ergonomic height diminishes your neck and back pain. The correct placement of your computer monitor can reduce your neck and back pain while you are working. The ergonomic placement of your monitor can improve your posture and alleviate stress. Available in tempered glass or plastic, which provides strong support for your monitor stand needs. 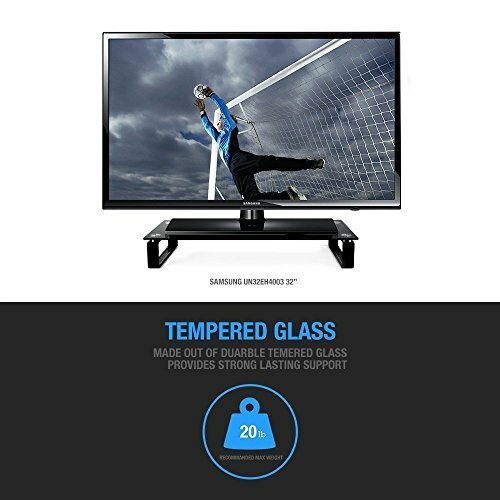 Tempered glass and plastic is known for great durability so it will definitely be one of those long lasting products. 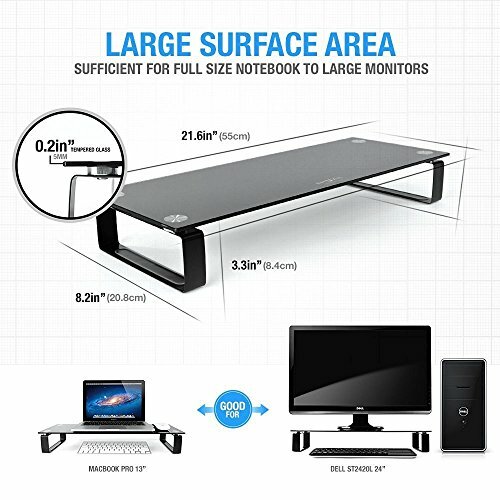 Additional storage space under the monitor stand allows you to fully maximize your desk space. You can stow your keyboard and mouse under the stand while not in use so they don't get in your way. The clearance is about 3" so it will also fit most gaming consoles for a clean and organized setup. Please make sure to measure the height of your gaming console to see if it fits below the stand. A simple and easy to assemble process requires only 5 minutes of your time. It comes with all the bolts and parts as well as the tool required to assemble the monitor stand. It accommodates with monitors, laptops, Apple iMacs, all-in-one desktops, TVs, printers, etc. You name it! It can also be used for dual monitor and laptop monitor setups. There are endless possibilities of ways to use this monitor stand, so be creative! Stay healthy! You can elevate the height of your monitor for ergonomics. Elevating the height will prevent neck, back, and even eye strains for those long office hours or projects at home.